The latest Rue Magazine came out yesterday and it is devoted entirely to Texas ya'll! Isn't this exciting?! There were a few beautiful homes featured that I fell in love with so I wanted to present them to you in case you have not paged through the magazine yet. First off we have Joslyn Taylor's home. She is the blogger behind the fabulous Simply Lovely blog as well as the market/style editor for D home. Ok, so let's get started on all this goodness shall we? 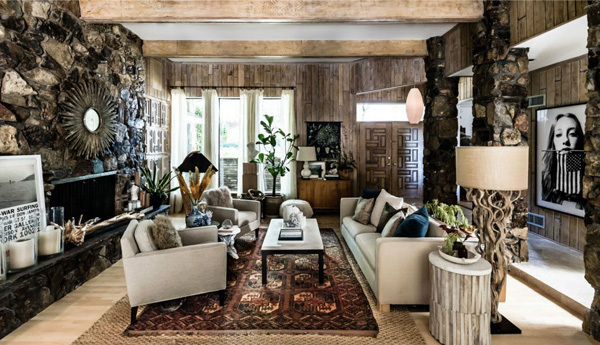 The general vibe of the home is earthy and laid back. They worked around the original structure of the home adding so much more character. 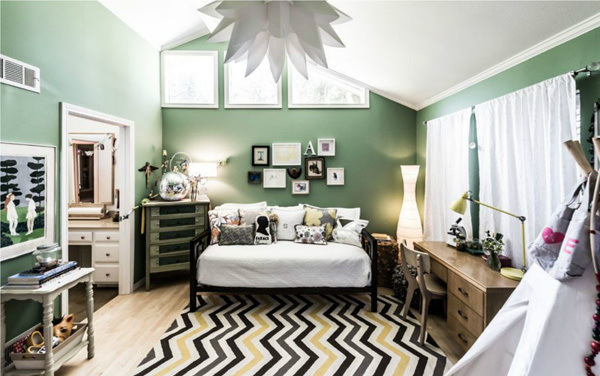 I love how the room is so organic. Amazing door right? 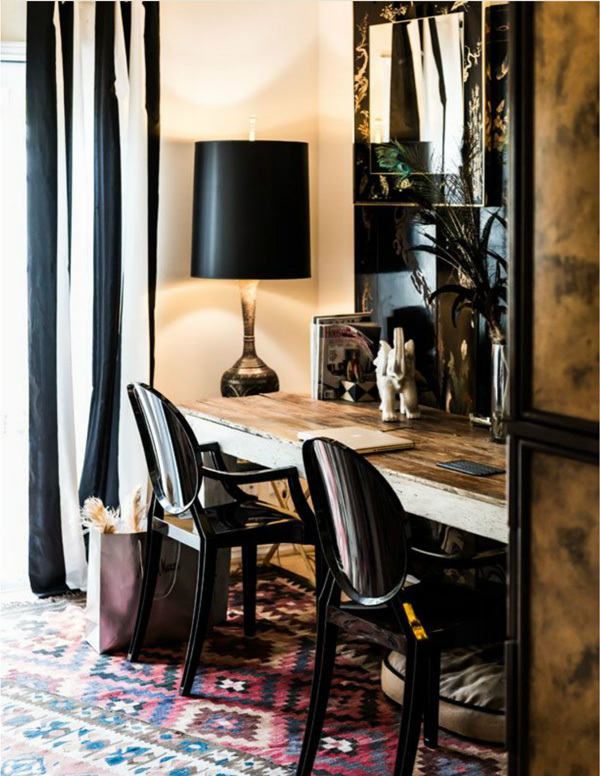 Even though there isn't much color there is such a variety in textures that the decor stays very exciting. 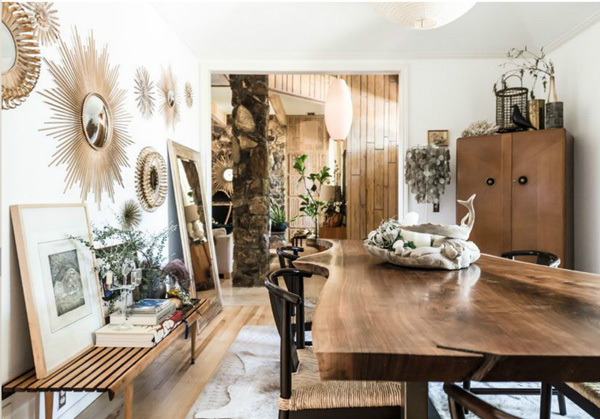 Love the reclaimed wood dining table and all the leaning art and star burst mirrors. Great statement wallpaper for the hallway/bar. 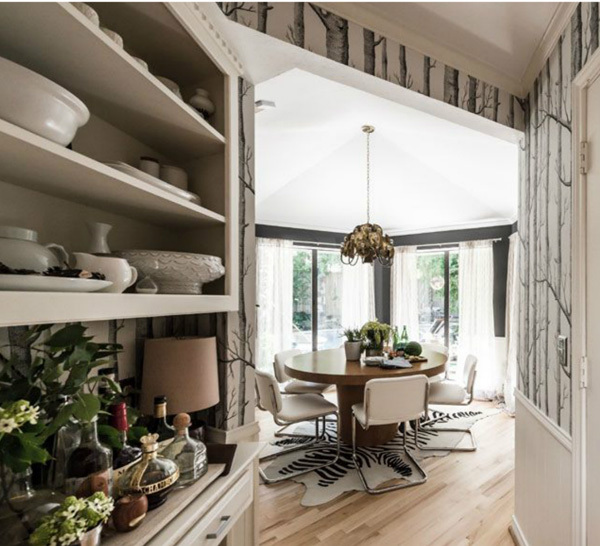 What a great breakfast nook with all that light! You can tell all these things have special meaning. Joslyn describes her home's vibe as 'soulful'. Yes, indeed. She would be a great antique shopping partner. That is one fabulous triangular chest in the corner. 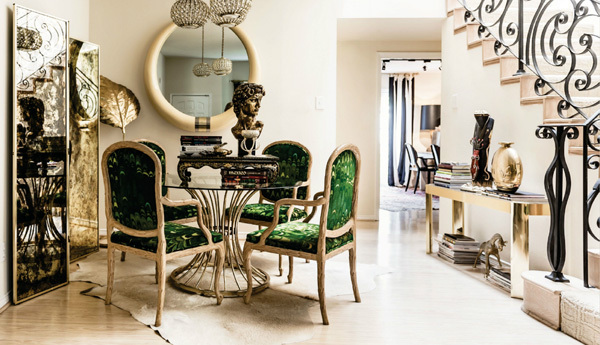 So from the Joslyn's earthy, organic home we move to more opulent and bold decor with the homes of the mother/daughter duo Judy from Atlantis Home and Jane Aldridge from Sea of Shoes. Wao! This is Jane's, the daughter's, living room. The gold, black and and shine throughout have me totally mesmerized. 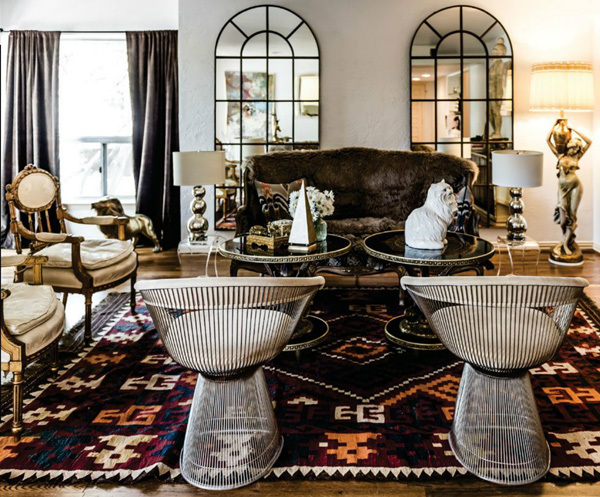 I'm enjoying the contrast of the antique chairs with the straighter lines of the Platner chairs. Great mixing of all kinds of metals. Notice the white kitty cat on the table? and in Judy's home (the mom) she has Bambi on top of her table! creative! 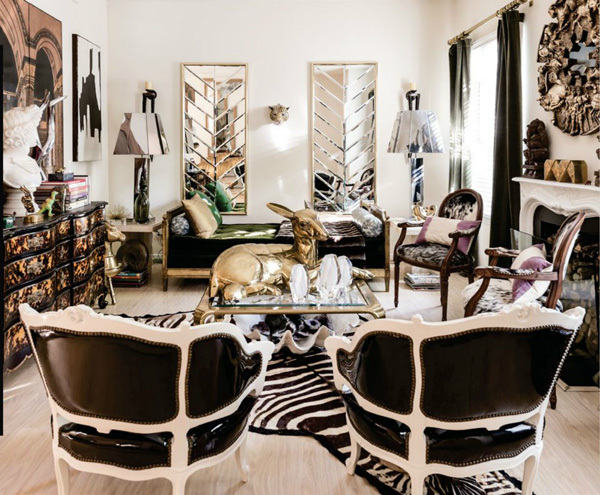 You can kind of tell they are related as they have a similar aesthetic- the gold, dark colors, crazy shine all over, the double mirrors and of course the animal figurines. The screen adds depth. I need that tortoise shell chest! and the ram? I think they are into animals for sure. More mirrors here and adding the green is a nice touch. Green and gold are always fabulous together. Black ghost chairs. YES!! I love their sleek and shiny qualities paired with a nice rustic table. 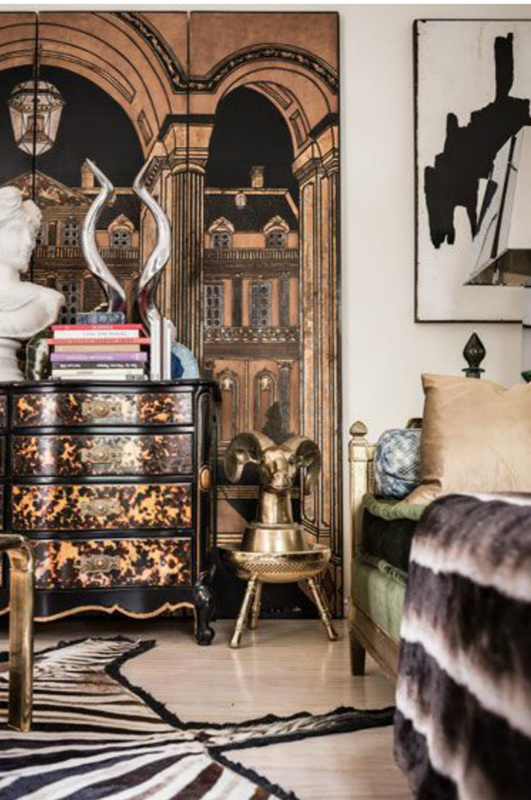 I love the dramatic and glam homes Jane and Judy have created. 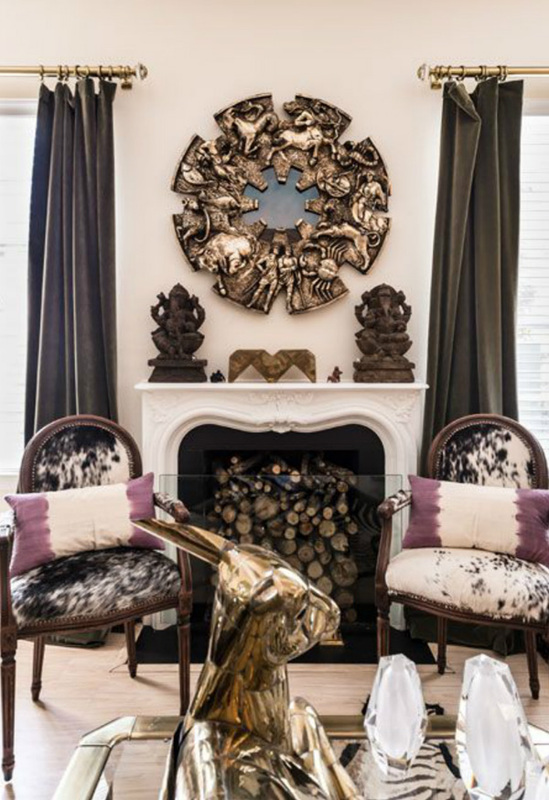 (I spy with my little eye 9 animal figurines throughout...can you find them all?). We could make this a contest :) Next trip to the flea market I'm going to pay close attention to animal statues. Dallas ladies are very stylish. I think these three ladies were the perfect pick to showcase some of Dallas' great homes. Also check out their blogs you will be glad you did! Joslyn's Simply Lovely, Judy's Atlantis Home and Jane's Sea of Shoes. I was also obsessed with this issue. Everything is so gorgeous. You can really tell they're in Texas! Beautiful and glamorous! I absolutely adored this issue of Rue! My Texas pride definitely grew a couple sizes because of it! Great highlights - those homes are SO beautiful! Dallas has some amazing talent and your post showcases it in spades! LOVE it! Loving Texas even more. Definitely increasing my Texas pride. Thank You! Looking forward to going through the entire magazine. Love Rue Magazine, going to head over to check out the new issue now! Look forward to it, thanks for giving me a preview! What a stark contracts between the homes.. I personally prefer the first choices but do acknowledge a keen eye for design in the second ones! great selections.. .
Those two have such an incredible and strong style, I love Judy's style. These spaces are insanity!! I love the one by Jane of Sea of Shoes. Been envious of that space for forever! Golden Bambi on the table...genius. Also loving those green chairs. Whoa! This house is absolutely breathtaking. Did Joslyn Taylor design this place? If so, then she did a great job. 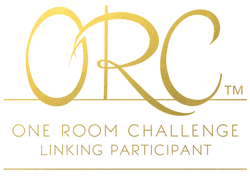 Every single room is filled with so many eye-catching furniture and ornaments, and no space is left unused or wasted. But what I love most about this place is there is not a single detail that is taken for granted. Every aspect of the house seems very well-thought of and superb. Indeed! These images are looking fantastic can you tell me are these homes on rent or for sale.